Happy Thursday! Hope the week is going well and that you're all gearing up for the holiday weekend. I'm happy to introduce some of the lovely ladies who are sponsors of short girl, long island. 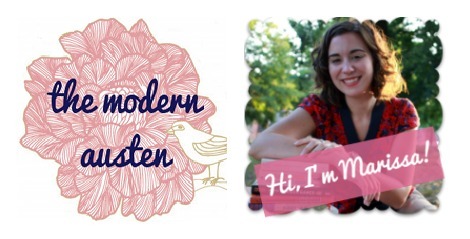 You can also find Marissa on Twitter, Facebook, Pinterest, Goodreads, + Polyvore. hello! my name is allie. i am wife to mark since april 10, 2010, and mommy to a little mouse a.k.a. squeaky a.k.a. norah bean since january 16, 2011. i am 25 years old and i have no idea what i'm doing with my life (ha!). currently i am a stay at home mama, but before that i worked in a preschool for 3 years. it was there that my true love for children flourished and when i became a mother it only multiplied further. besides being super-mommy and super-wife (hehe), you might also find me digging through piles of 'junk' at a thrift store, running the bike path near my house, drinking too much coffee, watching weird movies with my husband, wearing two or more patterns in one outfit, or sitting on pinterest/stalking more and more blogs until way past my bedtime. 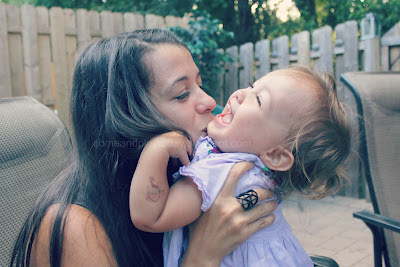 my goal, and the inspiration for my own blog, is to give my daughter the best life possible. i believe that the best life is the simplest life, filled with love, laughter, dreams, and play. childhood is the best time of your life (ask ANYONE) and i want to give my girl the most magical one i can. at little mouse's house you will see how we play, the things we make, our thrifty lifestyle, and how we live out our faith. Allie can also be found over at Pinterest, Instagram, Twitter, + Facebook. Make sure you swing by and say hello to these lovely ladies! If you are interested in sponsorship or swapping ads, please check out my sponsor page. Wonderful bloggers, new to me. Thanks for profiling them.